The hotel has three modern, two bedroom apartments each with separate living room/lounge and kitchen, measuring 78 square meters. 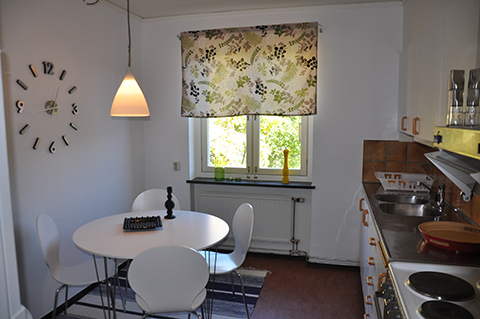 The cost is 14500 SEK per month which includes heat/water, electricity, internet and satellite TV. There is an option to buy cleaning, parking, breakfast and supper. VAT and cleaning is not included. 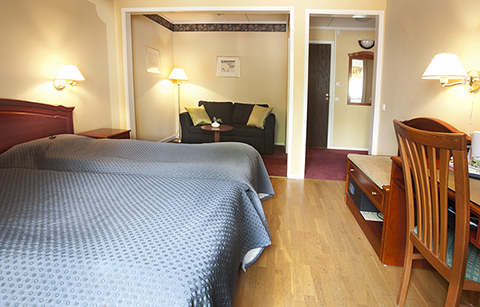 Bedroom 1 – double bed. Bedroom 2 – single bed. Livingroom – three seater sofa (which can be made into a double bed) Armchair and desk. Kitchen table can seat up to four people. Bedroom 2 can be refurbished into a childrens room. 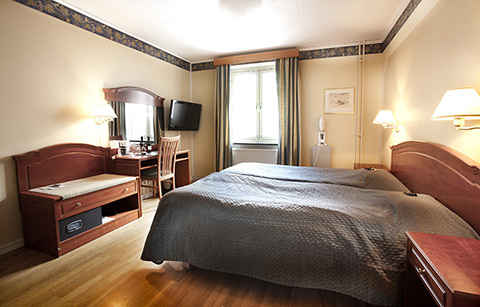 Bedroom 1 – double bed. 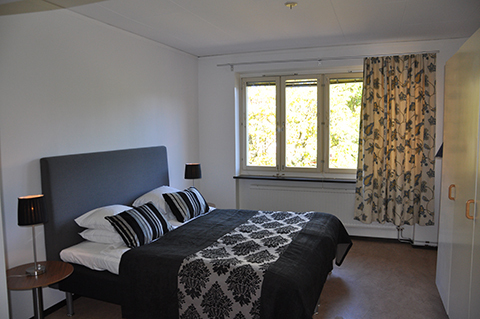 Bedroom 2 – single bed. 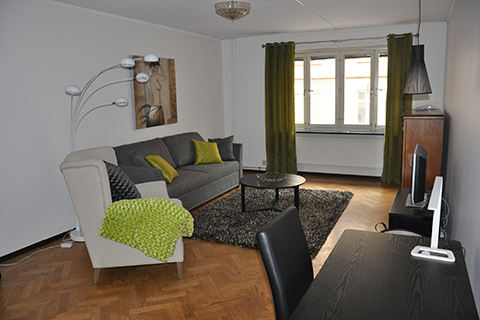 Livingroom – three seater sofa (which can be made into a double bed) Armchair and desk. 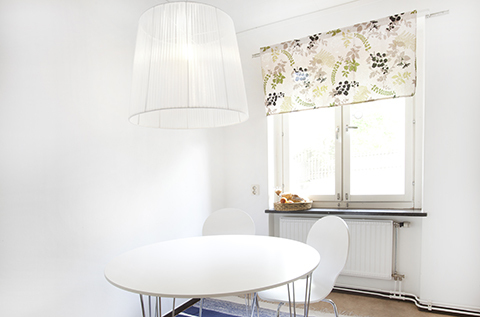 Kitchen table can seat up to four people.